Timing is the “magic” that encompasses every important moment in life. That first kiss that you had wouldn’t be as special if it didn’t take place at night in the park, under the stars. That song may not have been memorable if you didn’t hear it on the radio after you broke up with your ex while you were driving in the rain. That adventurous trip wouldn’t have been amazing if you didn’t see lightning in the sky and took a photograph of it. Photography, art, music, and poetry all utilize timing to create a special moment – making mundane events and imagery seem magical. 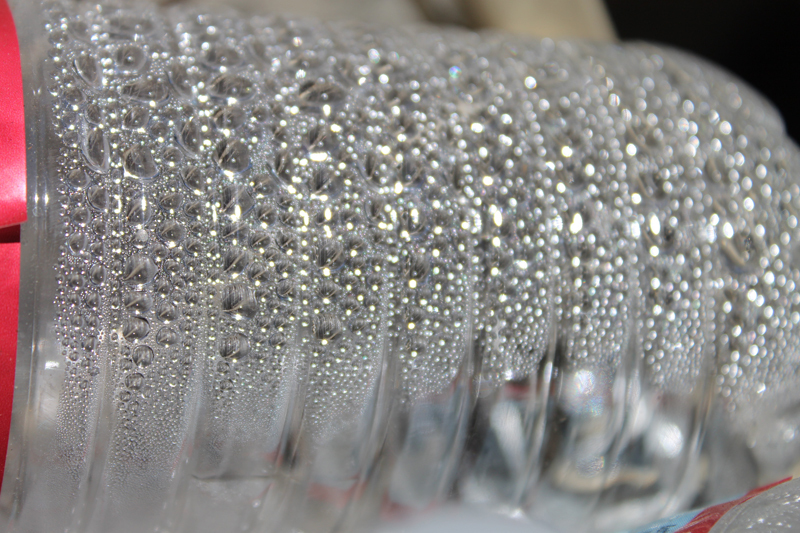 Who would have thought that a simple plastic water bottle could look “magical?” I didn’t, not at first. Since last month’s theme for the Inspirational Circle was texture, I was just randomly hanging out in my porch taking random photos of things that had texture. While walking around, I came across my dad’s recycling bin where he kept water bottles. 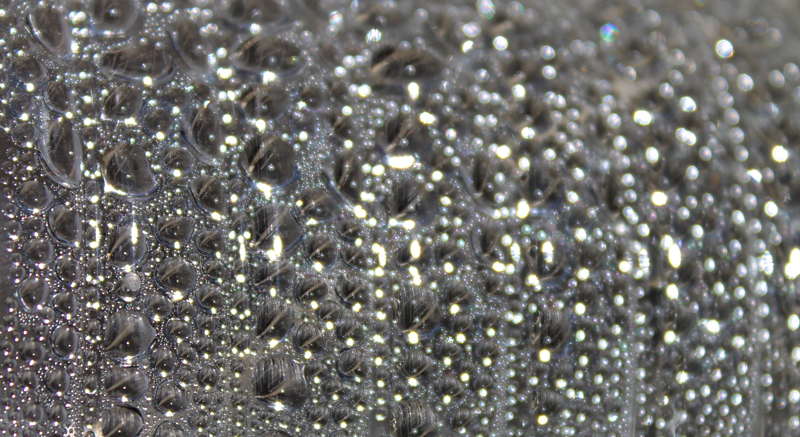 There were a collection of bottles that had condensed water that looked like dew drops clinging to the surface. With the sunlight shining on it, the dew drops sparkled like magic, mesmerizing to the eye. With the macro setting on my camera, I took a shot. It was a simple beauty, but clearly recognizable as a water bottle. To make it a little more abstract, I decided to crop the image and remove the “red wrapping” and add a little bit of contrast in Photoshop so that the image will only detail the “texture.” At first glance, you may not know what this image was. One friend guessed jewelry and another friend had guessed rain on my windshield. What do you think? This entry was posted in inspiration, Inspirational Circle, photography and tagged Magic, photography. Bookmark the permalink.